National Young Farmers Coalition | Is social media working for your farm? Is social media working for your farm? Even if we may prefer the company of cows or the peace of a field to the company of others, marketing is an undeniable part of operating a successful small farm or business. 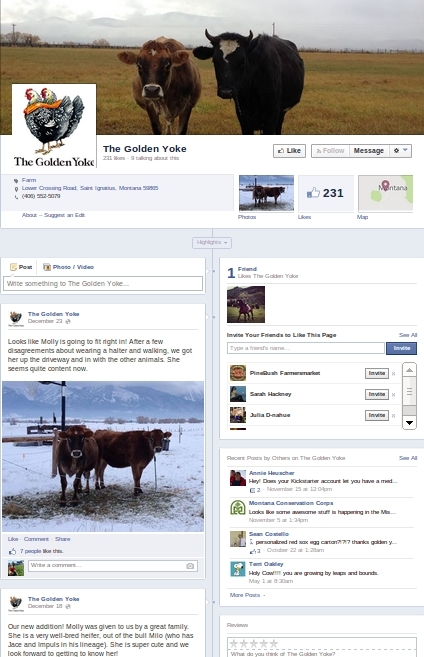 The Golden Yoke in Montana uses Facebook to build a loyal base of supporters as they start out their farm business. These days you don’t need a background in web design to create an online presence for your farm or business. Popular social-networking sites like Facebook, Twitter and Pinterest have great potential for a fledging business, and many farmers are creating free or nearly-free websites with easy-to-use website packages. But Amy Sprauge of FARMIST, encourages farmers to consider expanding how they use the sites. Anything from a funny anecdote of farm life to an update about the Farm Bill negotiations could be included. 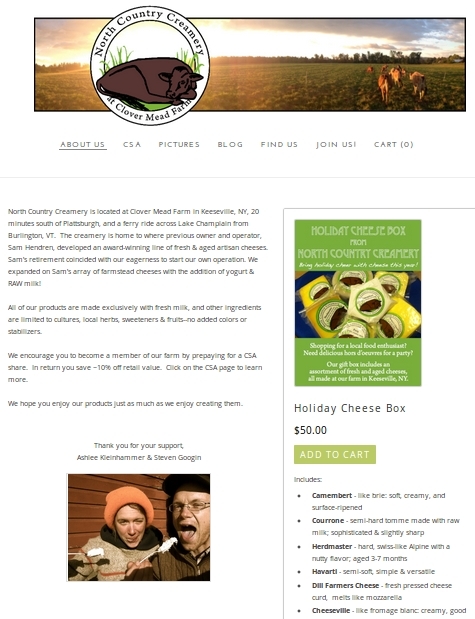 North Country Creamery in New York used the web service Weebly to create a free professional-looking website. According to Sprague, it is also important to brainstorm how to reach new customers with social media, in addition to maintaining ties with existing customers. 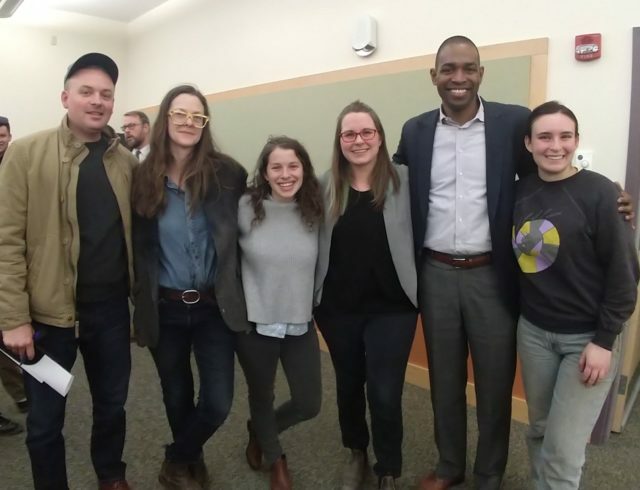 Sprauge suggests using the sites to search for groups in your area based on topics such as parenting, environmental conservation, or fitness, whose members probably also share an interest in healthy local food. Setting up a profile on one of these sites only takes a few minutes and mobile apps also making posting updates from the market stand or field easy. Connecting with customers should be easier than ever. We want to hear from you. Do you use social media to market your farm? Which sites do you find easiest to use or maintain? Leave a comment below sharing your best practices, ideas, questions, etc! 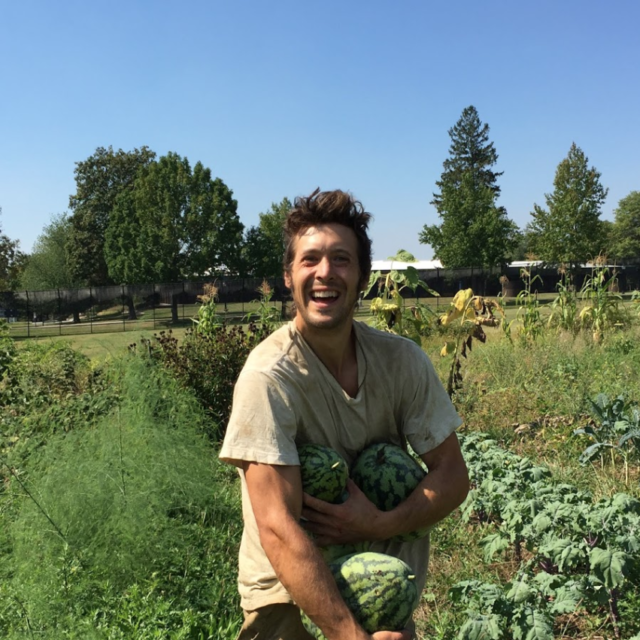 Share your story to help pass a farm bill for young farmers!